Strong leadership is essential for any university to be successful. Higher education professionals are always seeking opportunities to learn new techniques to improve their skills as leaders. 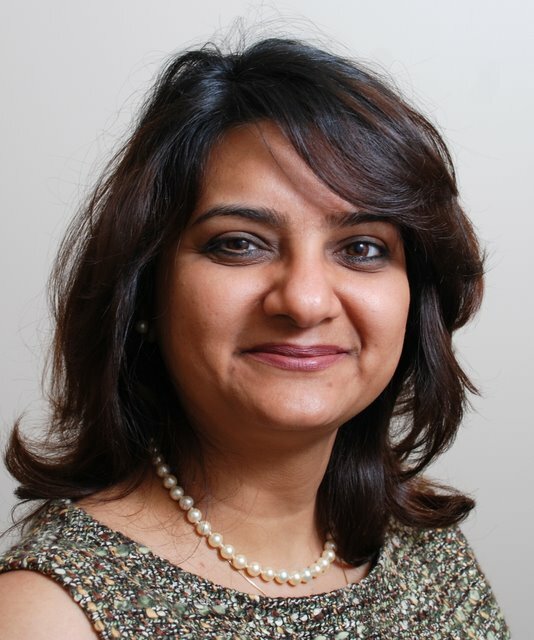 For Dr. Faiza Khoja, University of Houston-Downtown (UHD) associate vice president of Academic Affairs, success is based on both strong leadership skills and the ability to explore a university's administration from new perspectives. Her eagerness to seize new learning opportunities and grow the institution, earned Khoja a prestigious invitation to participate in the American Council on Education (ACE) Institute for new Chief Academic Officers (CAOs) class of 2017-2018. ACE provides practical executive leadership development for CAOs in their first three years on the job. The program identifies topics and issues of immediate concern to new academic vice presidents and provides the means to address them. "I'm privileged to be accepted to the ACE Institute for Chief Academic Officers and represent UHD," said Khoja. "I hope to bring back to UHD lessons learned from peers, from across the nation, with different experiences facing similar challenges in higher education." The 2017-18 ACE Institute for new CAOs class will convene three times during 2017-18 in two-day leadership workshops in July, November, and March. Each session is highly participatory, using a combination of discussions facilitated by experienced CAOs and presidents, case studies (presented by program participants), conversations with peers from diverse institutions, and briefings from national experts. Founded in 1918, ACE is the major coordinating body for the nation's higher education institutions—representing more than 1,800 college and university presidents and executives at related associations—to provide leadership on key higher education issues and influences public policy through advocacy. ACE is the only major higher education association to represent all types of U.S. accredited, degree-granting institutions (two-year and four-year, public and private). Khoja's dedication and efforts have made an indelible mark on UHD. She oversaw UHD's reaccreditation process with the Southern Association of Colleges and Schools Commission on Colleges (SACSCOC) and helped develop the University's Quality Enhancement Plan - Academic Achievement through Community Engagement (A+ CE). Her diligence enabled UHD earn high marks during SACSCOC's final assessment. She has several years of experience in strategic planning and budgeting; shared governance; policy analysis and implementation; curricular and co-curricular assessment; new academic degree program development; academic standards adoption and regulatory governance, community engagement; and process improvement, to name a few. Her accomplishments at UHD include her work at the Marilyn Davies College of Business where she chaired the Strategic Planning Committee for four years, and spearheaded the planning process for the College. As co-chair for the Davies College of Business' Assessment Committee, she worked with faculty and administration to streamline assessment processes. Khoja played a pivotal role in the Strategic Planning and Assessment Committees—the two most critical components in the Association to Advance Collegiate Schools of Business accreditation process. Since the programs' inception, Khoja participated in the curriculum development in partnership with the advisory boards for both the Master in Business Administration and the interdisciplinary Master of Arts in Non-Profit Management graduate programs. She also served as chair of the MBA Curriculum Committee for two years and collaborated with the chair of the MBA Assessment Committee and the director of the MBA program to develop the program and maintain academic standards. She is an ardent researcher and has published in both academic and practitioner journals, such as the Journal of Business Strategies; Journal of Small Business Management; Journal of Managerial Issues; Journal of High Technology Management Research; Ivey Business Journal; and Journal of Knowledge Management Practice. Khoja is also the recipient of several internal and external grants. Khoja received a doctorate in Strategic Management from the University of Houston, an MBA from Southeastern University, and a bachelor's degree in Commerce from the University of Karachi in Pakistan. UHD President Dr. Juan Sánchez Muñoz congratulated Khoja for being accepted into such a prestigious program. "Dr. Khoja's inclusion in this institute reflects her recognition as an innovative educational administrator. ACE selects only those professionals who are making a significant impact at their respective higher education institutions. She certainly fits that criteria," said Dr. Muñoz. "This institution benefits immensely from her talents, and I applaud her on earning this distinction from ACE."